Jamal Khashoggi, a journalist and author from Saudi Arabia who frequently openly criticized the country’s governance, was killed in a Saudi consulate in Turkey sometime around Oct. 2, 2018. Khashoggi was visiting the consulate to arrange paperwork for him to marry his Turkish fiance. Surveillance footage shows Khashoggi entering the consulate, but no footage has been found of him leaving. The surveillance footage is the last time Khashoggi was seen alive. Over the course of his career, Jamal Khashoggi served on various progressive Saudi publications and was an advocate for journalistic freedom. Khashoggi was formerly the editor-in-chief of the Al-Arab News Channel and editor of the newspaper Al Watan. In the summer of 2017, Khashoggi fled Saudi Arabia to the United States in a self-imposed exile. 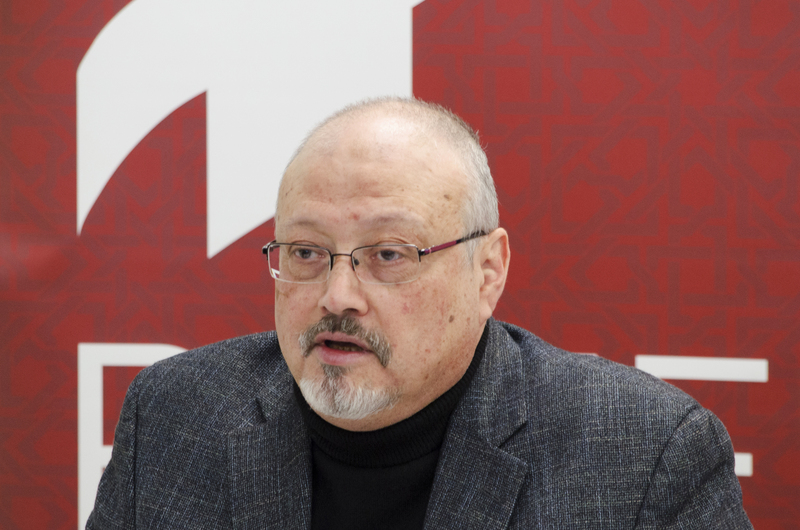 In the U.S., Khashoggi began contributing to The Washington Post on a regular basis in the publication’s global opinion column. Khashoggi’s articles in the Post were harshly critical of the king and crown prince of Saudi Arabia, King Salman of Saudi Arabia and Mohammad bin Salman. Khashoggi’s articles called for reform of his country’s governance. As a result, Saudi Arabia’s crown prince ordered a campaign against dissidence from people like Khashoggi. Just before his apparent assassination, Khashoggi was reportedly spearheading a number of projects to bring together an opposition, including a documentary to bring light to what he called “a new radicalism” in the Saudi government. Since Khashoggi entered the Saudi Consulate around 1 p.m. on Oct. 2, his body has not been found, and his cause of death still remains a mystery. Quickly, the U.S. and other western authorities were involved in the investigation. On Oct. 22, it was concluded by the CIA that crown prince Mohammad bin Salman was ultimately responsible for Khashoggi’s disappearance. Also on Oct. 22, CNN aired footage from the Saudi consulate that showed a government agent leaving the building disguised as Jamal Khashoggi, wearing his clothing and accessories, including a fake beard similar to Khashoggi’s facial hair. Turkish officials have stated that this attempted ruse suggests Khashoggi’s murder was premeditated, despite the opposite claims from the Saudi Arabian government. Later in October, reports surfaced from senior Turkish officials that Khashoggi’s body may have been disposed of in acid, their claim apparently supported by “biological evidence” found in the consulate. The most recent claim is that audio recordings of Khashoggi’s murder have been given to officials in Britain, France, Germany, Saudi Arabia and the United States. The investigation remains ongoing, even more than a month after Khashoggi’s initial disappearance.